Welcome to Happy Trails' Critter Comforts! As owner of Happy Trails Pet & Livestock Services, I decided it was time share some my professional knowledge of pet care with my Happy Trails family. You see, I personally have been in the business of Professional Pet Grooming and Cage-free Dog Boarding for over 11 years. Through the years I have gathered information I would love to share with my new and existing pet parents. The more educated you become in proper pet care, the happier & healthier your critters will be. My goal for Happy Trails' Critter Comforts is to make available to my customers a variety of discounted pet supplies that may not be offered at your local pet store. I will constantly be researching and adding new items to my web site so that I may bring to you the widest selection of pet supplies. Our pet supplies will come from trusted wholesale pet supply stores, manufacturers and distributors. All of our pet products will be competitively priced so you won't have to worry about sacrificing quality for savings. For example, our selection of dog supplies will included specialty items to keep your pets comfortable, such as 'heated' dog pads & vests. Whether you want something simple and practical or a " little more stylish", I will find it for your pet. Don’t see what your looking for? Please contact me and I will research and find the best possible product & price available to meet your pet's needs. I believe what is going to set Happy Trails' Critter Comforts apart from most other retailers is my “hands-on” knowledge of working with a variety of animals . 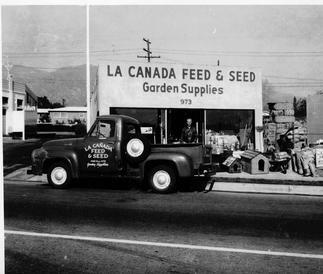 Growing up, my parents owned a feed store in La Canada, California. My first job in the pet business was to help my dad make deliveries of hay and feed in his '69 Ford truck. After I started my own family, my children & I became involved in 4-H working with livestock. I then went to school to become a professional Pet Groomer and at the same time taking Pet Science classes at Mt. San Antonio College. I learned cage-free dog boarding while grooming at a facility in, Los Angeles. I eventually moved my kids, my critters and Happy Trails to Tehachapi, California. I now specialize in the field of Cage-free Dog Boarding, Dog Socialization & Pet Grooming. So you see, I truly do understand that your pet is a beloved member of your family and for many of you, I know your dog/s personally. I believe that your furry family member deserves only the best pet care and services available. Thanks for stopping by and be sure to check in now and then to see what's new at......Happy Trails' Critter Comforts.